If you didn’t get to know him as a child as “Bozo the Clown”, you certainly knew his TV movie and arts reviews when you grew up. Frank became as much a part of the Boston entertainment scene as the shows themselves. One of the distinct highlights of his forty-plus year career occurred during the years of 1958-1970 when he produced and starred in the popular childrens’ TV program “Bozo the Clown.” The show’s tremendous success resulted in national syndication. Under the auspices of the United Nations Childrens’ Fund, Avruch traveled the globe for UNICEF. His performances as Bozo the Clown at projects in Asia and South America resulted in a series of documentary films viewed throughout the world. He maintains his affiliation as an advisory board member of UNICEF’s New England Chapter. A native of the Boston suburb of Winthrop, Avruch attended the University of Missouri’s School of Journalism and completed his bachelor’s degree in Communication at Boston University in 1949. A recipient of Boston University’s Distinguished Alumni Award, his papers, extensive taped interviews with entertainment and political celebrities, and other memorabilia from his broadcasting career are now housed in the “Special Collections” archives at the university’s library. His work with many of nonprofit agencies has been recognized with numerous awards, including a United Nations Award for his work with children, two Emmy awards and “Man of the Year” citing his tireless work for charities of all kinds. Avruch served three terms as New England President of the American Federation of Television and Performing Arts, is currently a Trustee of the Wang Center for the Performing Arts and is on the Board of the Coolidge Corner Theater Foundation and the Newton Community Access Corporation. As WCVB’s current “Goodwill Ambassador” and “Man About Town,” Avruch represents the station at various cultural and community events. His familiar voice is frequently heard on the stations’ commercial and promotional announcements. 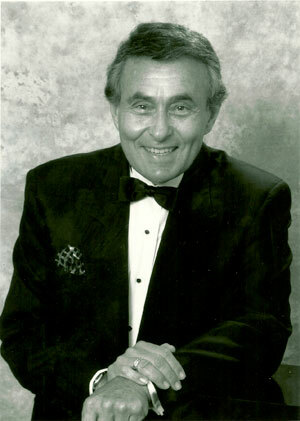 As an offshoot of his eighteen-year television classic film series “The Great Entertainment,” Avruch serves as host for the highly popular “Film Classic” series at the Wang Center for the Performing Arts during the winter and spring seasons. As a television personality and business liaison in the Boston area for more than forty years, Frank recently reduced his full time on-air schedule at WCVB-TV to spend more time with his family and delve into other creative interests. Avruch resides in Newton, Mass. with his wife Betty. They have a son, Matthew, who is a Business and Security analyst and son, Steven, who is an attorney.